Chief Electoral Officer Narinder Chauhan said that Special Summary Revision of Photo Electoral Rolls of 68 Vidhan Sabha Constituencies of Himachal Pradesh with 1st January, 2014 as qualifying date would be conducted from 1st to 31st October, 2013. 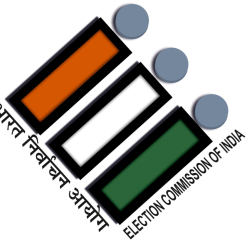 Chauhan said that draft photo voters lists would be available in all the polling booths, offices of electoral registration officers/ assistant electoral registration officers on 1st October, 2013. He said that claims and objections could be filed between 1st to 31st October, 2013 and the voters lists would be read out for verification in Gram Sabha and Local Bodies meetings on 2nd October and 20th October, 2013. Chief Electoral Officer added that special campaign would be launched in all the polling booths on 6th October and 13th October, 2013 and claims and objections would be disposed off from 2nd November to 14th November, 2013. He said that final printing of photo electoral rolls for final publication would be done by 30th December, 2013 and final photo electoral rolls would be published on 6th January, 2014.